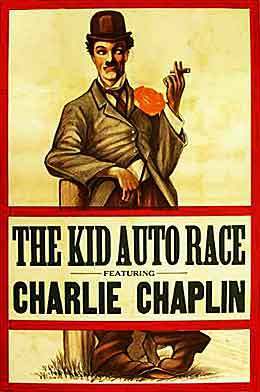 Kid Auto Races At Venice is a 1914 American-made motion picture starring Charlie Chaplin in which his "Little Tramp" character makes a first appearance (although Mabel's Strange Predicament was technically the first film in which he portrayed the character, as it was produced a few days earlier). Made by Keystone Studios and directed by Henry Lehrman, in it Chaplin plays a spectator at a 'baby-cart race' in California. The spectator keeps getting in the way of the camera and interferes with the race, causing great frustration to the public and participants. 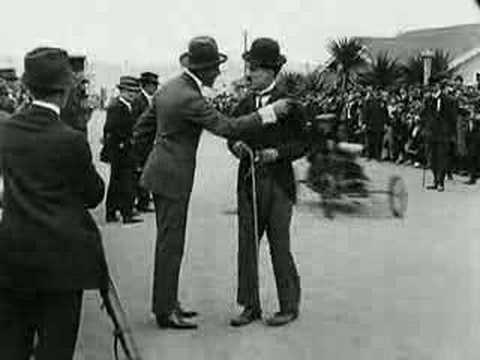 The film was shot at an actual race with Chaplin and his co-stars improvising gags in front of real-life spectators.